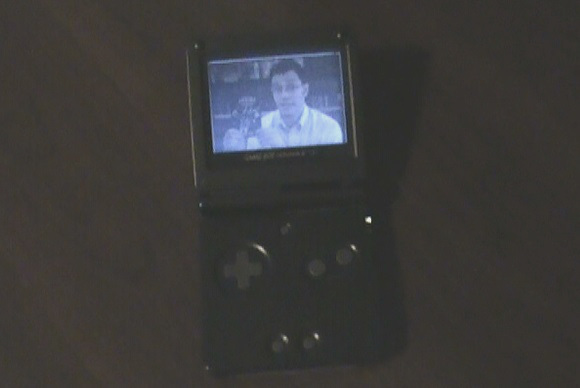 I remembered about the Gameboy Advance library I had made, (called smgbalib), and thought it'd be nice to make some music with it, so I made it play the Angry Video Game Nerd theme song while displaying various screen captures of AVGN episodes. Given that the source code is trivial (took me an hour and a half, perhaps), I'm just providing the ROM here. It should work in any Gameboy Advance emulator. If you are interested in developing your own Gameboy Advance games, take a look at my other Gameboy Advance homebrew pages; they contain a development kit, along with sample source code.